Gov. Brown this month struck down new legislation that would have helped cities identify seismically vulnerable buildings in their communities. The veto came despite Assembly Bill 2681‘s broad bipartisan support from both the Assembly and Senate, cities, trade and business associations and more. Meanwhile, there is growing momentum nationwide to push for more resilient communities. Oklahoma, Texas, and Utah recently received grants from FEMA to aid homeowners in retrofitting their homes. “Building more resilient communities is the best way to reduce risks to people, property, and taxpayer dollars”, FEMA Administrator Brock Long said. We had hoped California would lead the nation in promoting seismic resiliency, but it appears that for now, it will be up to individual communities and building owners to make our cities safer. Contact us today to learn more about how this formula translates to your building or business. legislation that would have helped cities and counties take inventory of buildings that could be at higher risk of major damage or collapse when shaken, the Los Angeles Times reported. On Thursday the City of San Francisco released a list of more than 150 tallest buildings, including many that were constructed before modern codes. When it comes to government spending, research shows that mitigation saves more than lives. Taxpayers save an average of $6 for every $1 the federal government spends on mitigation efforts such as retrofitting, the Pew Research Foundation determined. 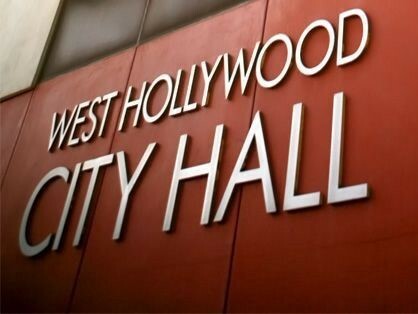 Feeling rushed to meet seismic retrofit looming deadlines imposed to by Los Angeles Department of Building Services? Many apartment owners may feel pushed to act hastily to get things done. But here’s why slowing down can save your a lot of time and trouble. Nearly 500 Pasadena property owners will be receiving letters from the city over the coming weeks informing them that their building may need to be seismic retrofit to meet new, toughened earthquake safety standards, the Pasadena Star News reported. The world’s most active volcanoes lie along what’s called the Ring of Fire. It’s also where most earthquakes happen as tectonic plates push against each other, causing tremors. On Monday Federal officials said a Salt Lake program received a $1.9 million grant from the Federal Emergency Management Agency that will help pay to protect 100 city homes from earthquakes. Optimum Seismic teams up regularly with the Apartment Association of Greater Los Angeles on free educational seminars about retrofits and resilient communities. Our next event will be held from noon to 2 p.m. Tuesday, Oct. 16 at AAGLA Headquarters, 621 S. Westmoreland, Los Angeles.